Store Exclusive! Only available from TheLoudExperience.com! Pressed on clear vinyl and limited to 350 units! 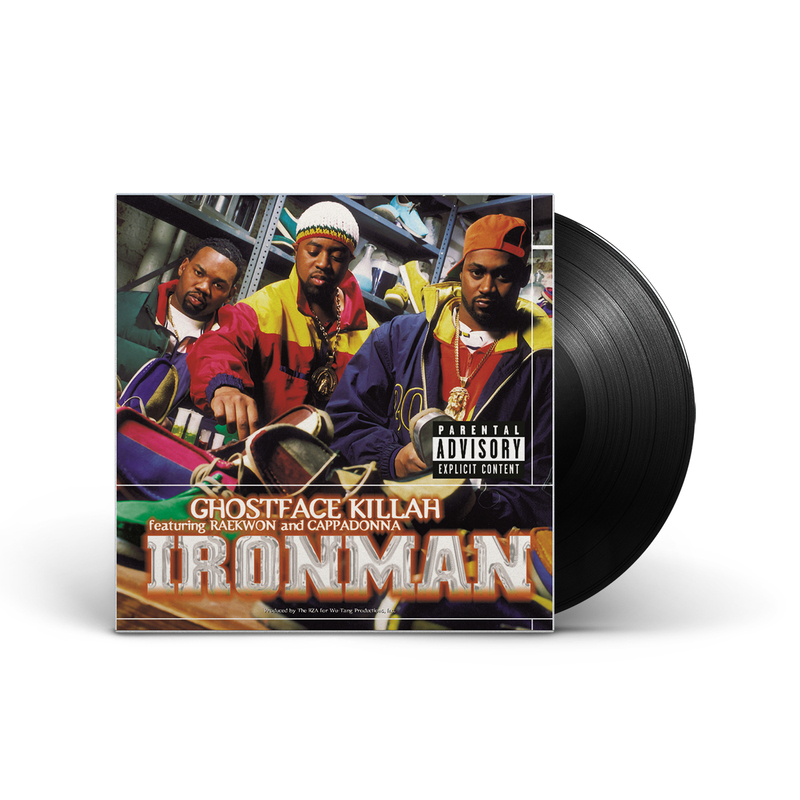 Released in 1996 on Epic Records, Ironman earned immediate mainstream success, debuting at number two on the Billboard 200 chart, and number one on the Top R&B/Hip-Hop Albums chart. Though a solo album, Ironman is filled with Wu-Tang collabos, prominently featuring Raekwon and Cappadonna, with a handful of tracks featuring Ghost performing companionless. The album earned gold status in sales a year after its release and platinum by 2004, a true testament to its staying power. Ironman pieces together Al Green and Jackson 5 samples, gospel choruses, kung fu soundbites and piano vamps into something unpredictable and vital-sounding. Arguably one of the best of the groups solo albums to date, the record is filled with inventive production and rhymes, and ranks as another solid entry in the Wu-Tang legacy. Housed in a full-color gatefold jacket, this is a classic piece of Wu-Tang artistry is reborn again for music lovers and MCs alike.